ALAS, THE DAY HAS COME!!! All of my finals have been taken and turned in, all of my books have been returned...Francesca is a free elf at last! I have been looking forward to the end of this semester since basically week two. This has been the hardest and most stressful semester I've ever had and I am so relieved that it's over and I get quite a few weeks to relax and and work and just not focus on school. I finish up my Spanish minor next semester, but that's out of sight, out of mind for me right now. I just want to enjoy my time off for once! 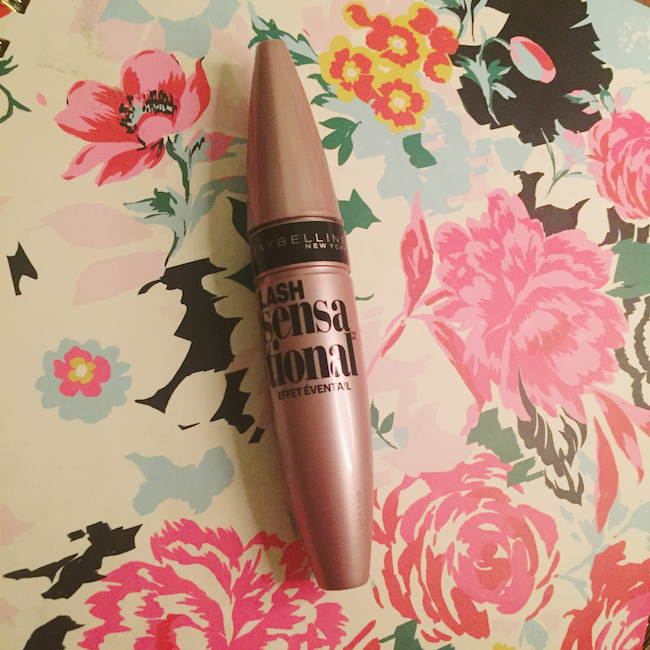 I featured this in my top five mascara favorites a couple of weeks ago and that was only after a few uses. Now that I've had it for a couple of weeks, I have truly learned how absolutely fantastic it is. I love the slight curve in the brush and the short, synthetic bristles. It separates and volumes so fantastically that I generally only need a single coat. I nearly just said it was good for a drugstore mascara, but honestly, it's just a great mascara in general. I highly recommend picking this one up if you're in the market for a new one. I swear, I've had this bottle for ages. I always break out the Kenra conditioner when I'm running low on whatever I'm using at the moment so I have a bit of leeway before I have to dish out some actual money for a new bottle of whatever I'm using at the moment. I just love the scent of this and how I can still smell it when I wake up in the morning after I shower. It makes my hair feel so smooth and soft, even with just a small dollop of product. I'm not even going to pretend to be slightly embarrassed about this one. I'm a grown adult, I can like whatever I want to! And Selena Gomez's new album is absolutely fantastic and I cannot get enough of it. It all started when "Same Old Love" kept coming up on shuffle at work and I just learned to embrace it and eventually love it. Then, "Hands to Myself" appeared on my Spotify Discover playlist and basically, I just fell into the black hole of her new album and haven't come out to see the light of day yet. I am just having so much fun listening to her new music and feeling myself and all that nonsense. Such a good album to get ready to or listen to when you're hanging out with your pals. Give it a listen (or don't, if you hate happiness).